The new head of the British Foreign Office issued first comments on the subject. 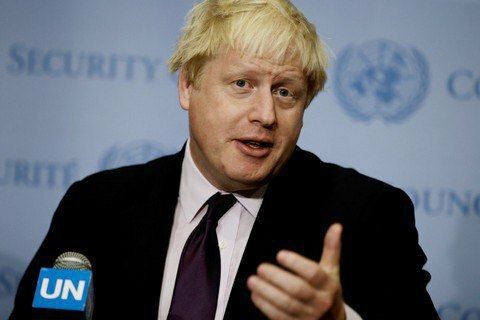 Britain's Foreign Minister Boris Johnson urged the Russian authorities to immediately release Ukrainians Oleh Sentsov and Oleksandr Kolchenko. "We are indeed concerned by the number of Ukrainian nationals who have voiced their opposition to what has happened-the illegal annexation of Crimea-and who face lengthy jail sentences, including Mr Sentsov and Mr Oleksandr Kolchenko. We are appealing to the Russian authorities to release them immediately," Johnson said as quoted on the website of the British parliament. The director and writer Oleg Sentsov was arrested on May 11, 2014 by FSB officers in Crimea. He was accused of committing terrorist acts on the Russia-occupied peninsula. In August 2015, a court in Rostov-on-Don sentenced Sentsov to 20 years' imprisonment in a strict regime colony. The director dismissed his case as political and fabricated and said he was subjected to tortures. Oleg Sentsov is serving his sentence in Yakutia. Kolchenko was sentenced to 10 years in prison for allegedly preparing and committing terrorist acts in Simferopol. At the beginning of March 2016 he was transferred to a penal colony №6 in Kopeysk, Chelyabinsk region in Russia. The Russian government has officially recognized Kolchenko a Ukrainian national.